Should I Purchase This Item? sadly it sold before i could get there. 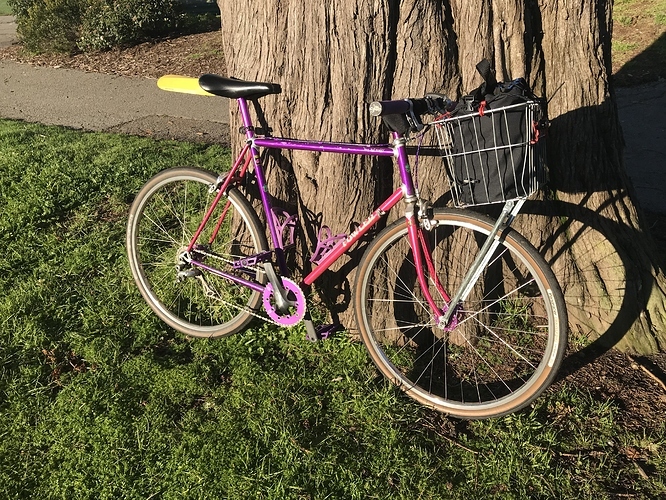 It’s my size and would make a bit of a nicer commuter than my 45 lbs Trek 850 commuter. Also in my neighborhood. And it’s got a biopace half-step triple. I love those bikes. I’d buy one in a second in that condition at that price. Yeah the Tenax Schwinns of that era aren’t half bad. Is purple with glitterish paint. If you don’t, I will. I think I have to pass on it. 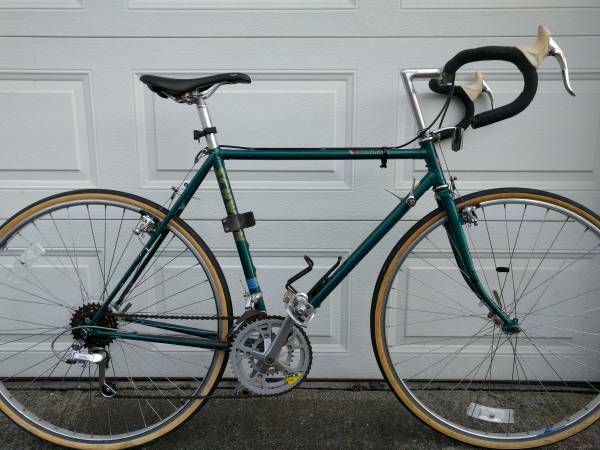 $180 is too rich for me right now for a simple vanity project and I don’t want a skinny tire on that bike anyways. Should @bward1028 be banned for 24 hours for not being tarck enough? 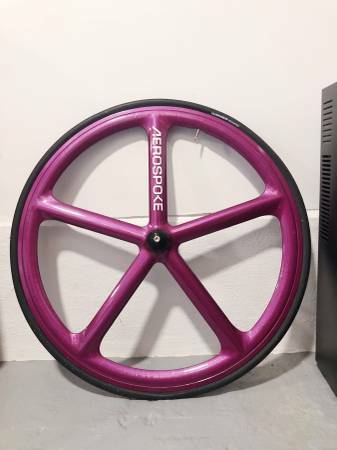 Tarck told me I have to buy this wheel or else but I can’t afford it. I like that you voted to ban yourself. That’s commitment.